HEROINE OF THE MONTH | We ♥ Shoujo!! Disclaimer: I do not own these pictures or these characters. I have linked all the pictures to where I got them from. Mitsuki is a strong 12-year old girl who has a dream to become a singer to find Eichi (her love in the US), despite the tumor in her throat. When two shinigamis appear and grant her wish, turning her into a healthy sixteen year old (temporarily), she embarks on a road to pop star fame for one year before she dies. She loves singing and is cheerful and described as very “pure” by her manager Ooshige. Despite my terrible summary there, the manga is one of the best I have ever read. It’s not a typical shoujo manga, where girl meets boy and all that. It’s a very heartwarming story about love, friendship, music and how Mitsuki finds out about the pasts of herself and the shinigamis, accepts the truth and finds new love. Maron is a stubborn, headstrong and independent 16-year-old high school girl and a rhythmic gymnast. What most people don’t know is that she’s actually the reincarnation of Jeanne D’Arc (Joan of Arc) and can transform into Kaitou Jeanne, a magical girl thief who collects demons scattered all over the world and concealed in beautiful art by Maou (The Demon King). However, her actions make her look like a thief, and her best friend Miyako, the daughter of the police, is trying to catch her. I love Maron because she is very kind, and stronger than anyone but as the series progresses, she often shows weaknesses and feelings that are usually concealed behind a warm smile. She maintains a perfect outer image- warm smiles, good grades, outgoing, smart, athletic, even though she has gone through a lot of pain. She eventually reveals her weaknesses and feelings to Chiaki, her love interest, and he helps her overcome them. 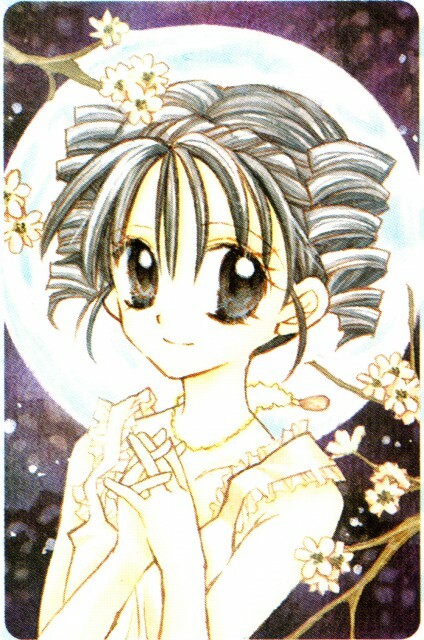 Pingback: SMA Announcement- Heroine of the Month | We ♥ Shoujo! !